Get tired of scrolling down and down to view PDF documents? It's time to provide better reading experience to yourself and your readers. Easily convert your PDF to digital books with realistic page turning effect. 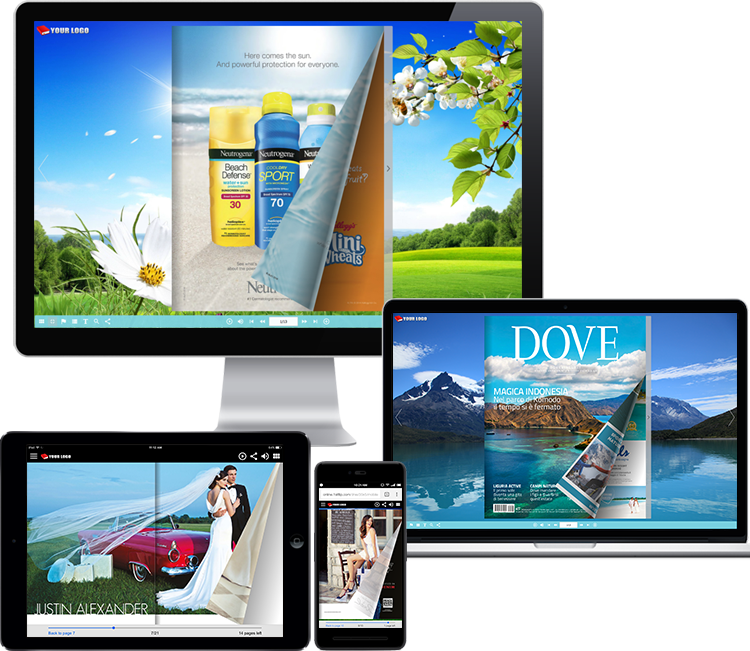 Readers can view your PDF magazine, brochure, catalog, etc. 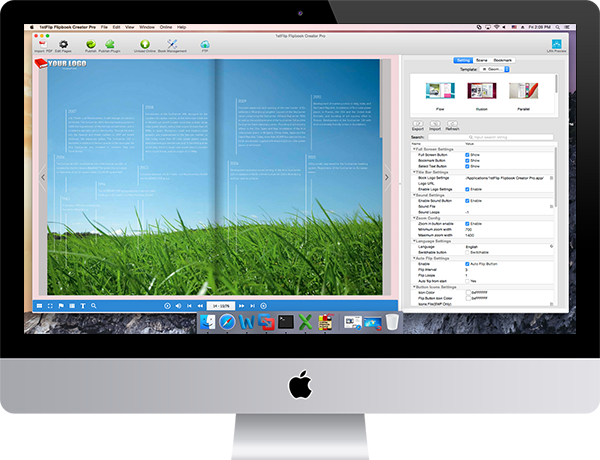 on any Mac, PC, tablets and smartphones just like reading real printed books. 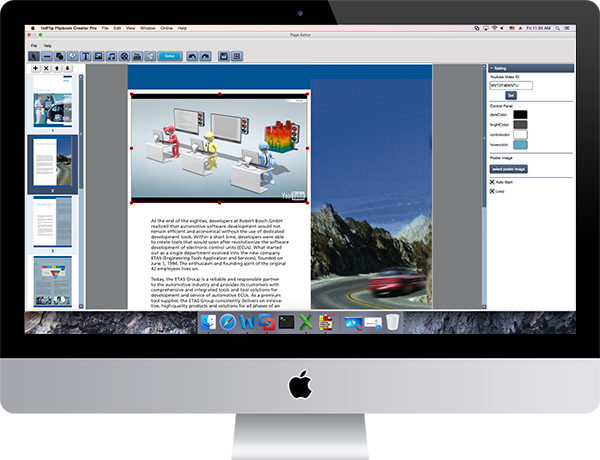 Convert PDF to digital book on your Mac/Windows. 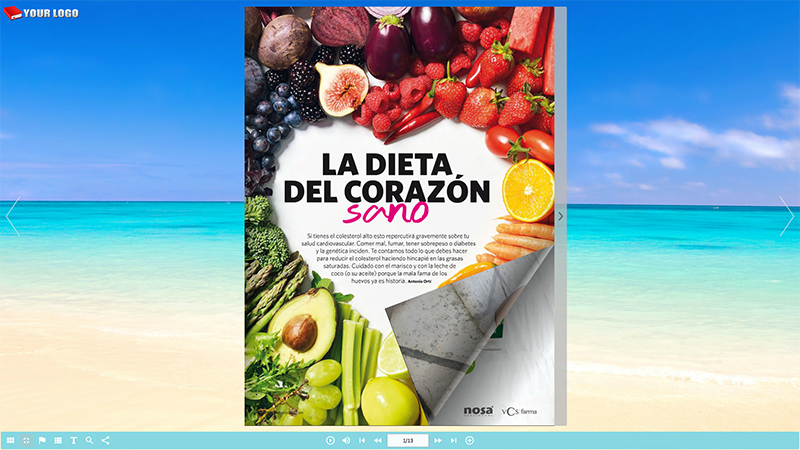 Get HTML5 digital flipbook with realistic 3D page turning style. Multiple pre-designed templates and scenes. Embed video, audio, button, image, GIF, hyperlinks, etc. to your digital book. Create offline digital books as APP or EXE. Create digital book as WordPress plugin to install on your website. Upload digital book to your website or 1stFlip server. Replace PDF on your website with digital books. Add password to protect your digital book. View your HTML5 digital books on any desktop, laptop, tablet and smartphone. 1stFlip Flipbook Creator is designed to help anyone easily convert PDF to digital books with realistic page flipping effect. Just import your PDF. You can import all pages or designate any page. Import original hyperlinks and bookmarks. Change flipbook template and scene as you like or customize many details according to your needs. Upload flipbook to your website/1stFlip server or just publish offline digital books. 4 formats for you to choose: html, zip, app and exe. With 1stFlip Flipbook Creator Pro, you can easily embed line, shape, callout, text, image, GIF, music, local video, YouTube video, Vimeo video, number icon, button, hyperlinks to any digital book pages. Multimedia and realistic print book experience will definitely make your digital book more attractive. 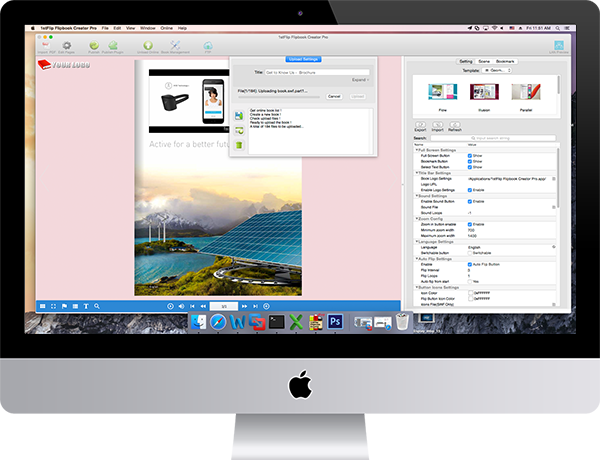 One-click to upload digital flipbook to 1stFlip server or your website within the software. After uploading, you will get unique url of your digital flipbook. Share it on Facebook, Twitter, etc. 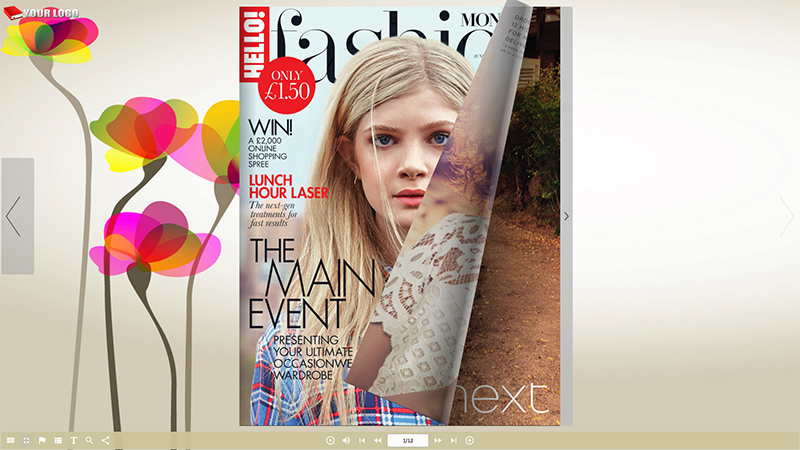 You can also embed digital flipbooks to any webpage with the provided embedding code. 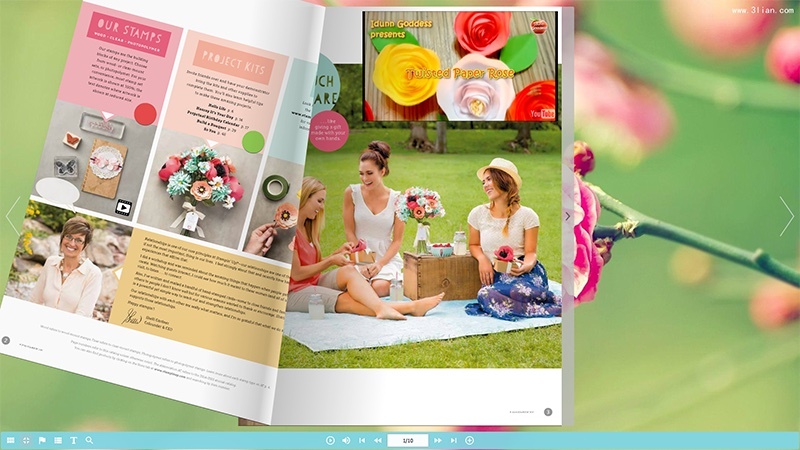 1stFlip Flipbook Creator converts PDF to HTML5 digital books which fits all mobile devices perfectly. You can also create Flash-HTML5 digital book, which automatically displays Flash flipbook when opened on computers with Flash installed and display HTML5 flipbook on mobile devices. If you don’t want to upload flipbook online, just click Publish button to create offline digital flipbooks. Here are 4 formats for you to choose: html, zip, app and exe. 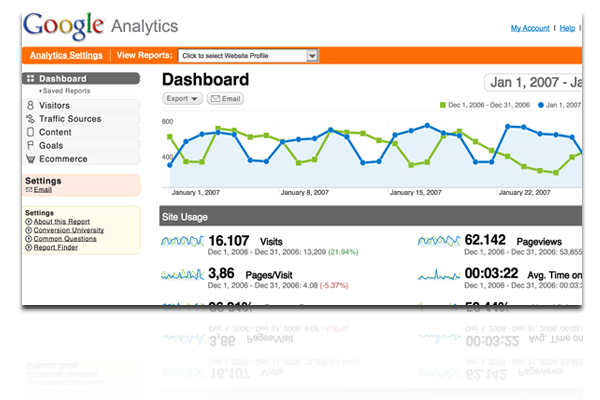 Add Google Analytics tracking codes to your digital book, so you can find out exactly how many visits, conversions and sales your digital flipbook generated on all devices. Allow readers to search whatever they want within the page-flipping eBook. 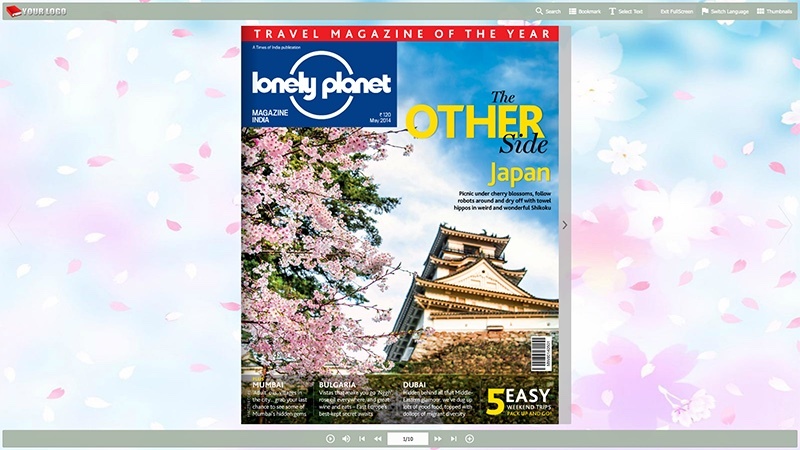 Responsive Design allows you to preview digital flipbook on multiple devices within the software. Page turning styles include: Flip, Flip with Hardcover, Slide, Slide with double page. Digital book toolbar supports multiple languages which are switchable while reading.